I find it interesting that as I move forward on my Simple Life Adventure – the process doesn’t always feel, well…simple. Sometimes I think I set the proverbial bar too high. I’ve done it in other things too. I have certain goals that I want to reach by a certain date or time, and when I don’t, I feel a bit discouraged in my efforts; like I have somehow failed. Instead of feeling victorious over what I HAVE achieved, I can be more focused on what didn’t take place the way I planned it. Even an uber optimist, like me, can fall down at times. I sort of felt that way after Thursday evening’s mishap (the dislocated toe). Seriously…one of my first thoughts was, “No! I have so much that I need to accomplish!” It left me feeling behind in my plan and I allowed it to discourage me. I had to slow things way down as I nursed my foot and had intended to be much further in this process than I am. It even affected my writing…I mean, what was there to write about if I wasn’t on task?! We can be so good at sabotaging our own efforts. That’s mental sabotage at its finest. But this little journey just continues to open my eyes to the reality of life; like, how you just can’t plan it all out no matter how hard you try. I know, that should just be a no-brainer, but even though I’m well aware of that truth, I still try to plan things out in some sort of orderly fashion. But I/we have to know that life is just going to throw the occasional curve, so it’s important to stay flexible – in everything. My new goal is to just take each day as it comes and to do my best to allow flexibility in a not-so-perfect and simple life. I can report, though, that yesterday my energy felt rejuvenated. I had originally planned to stay home from church, but decided to hobble my way out the door and take in a good message. And wow, it was really good! I’m so glad I resisted the urge to stay home because I would have missed out, not only on a message that soothed a weary heart, but also on seeing “family” that, even though they didn’t realize it, lifted me up in a moment of need – simply by being there with their smiling faces that were happy to see me. Feeling recharged, I was back at it again when I got home. I turned on some good tunes and I’m happy to report that I’m on my third bag of clothing to take to the thrift store. I worked for several hours before I decided to give myself permission to call it a day. I believe my bedroom will be clutter free after tonight…but, I’m keeping it flexible. This entry was posted in The Simple Life and tagged declutter, encouragement, faith, family, God, home, lessons, life's journeys, simple life. Bookmark the permalink. I think those little things happen just to show us who we really are. Are we just flappy our jaw or are we really who we say we are and lady you are who you say you are. 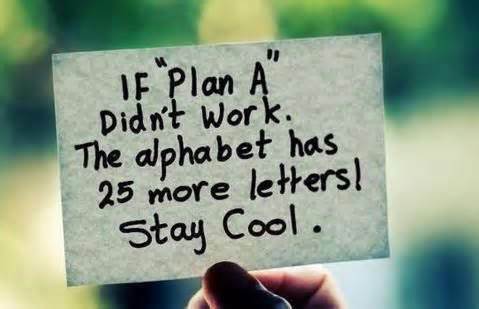 😀 keep planning but stay flexible.